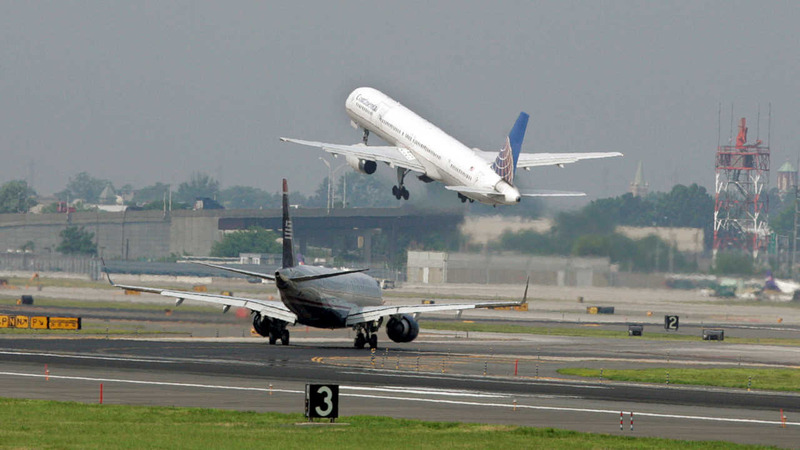 NEWARK -- The Federal Aviation Administration announced Friday it's easing limits on the number of hourly flights at Newark Liberty International Airport, and the airport's operator said that should lead to greater competition and lower airfares. The limits at Newark Liberty, which serves the New York City region and is one of the busiest airports in the nation, were put in place in 2008 to reduce congestion and delays. They restricted flight operations during peak times to 81 per hour. The FAA said arrival and departure delays have decreased significantly since then. It also said the number of scheduled flights has been well below the limits and Newark's runways can handle more flights. For example, on-time arrivals increased by 11 percent since 2007, and mean arrival and departure delays were down by about 33 percent, the FAA said. Delays greater than an hour were down 37 percent for arrivals and 38 percent for departures. However, the past year has had much better weather, leading to fewer delays across the nation. The Port Authority of New York and New Jersey, which operates Newark Liberty and the region's other main transit hubs, said lifting the restrictions could lead to lower airfares for passengers. "This action will help travelers by increasing competition and choices at Newark Liberty by allowing more flights by different airlines, thereby helping to reduce airfares," it said in a statement. The easing of flight restrictions also will address an issue that is the subject of a U.S. Department of Justice lawsuit filed last November against Newark's dominant carrier, United Airlines. According to the lawsuit, Chicago-based United controls around 900 of the roughly 1,200 slots - takeoff and landing authorizations allocated by the FAA - at the airport, while no other airline holds more than 70. The lawsuit says United doesn't use all the slots it controls, depriving passengers of flight options they would have if the slots were flown. A spokeswoman for United said in an email Friday that the airline, whose parent company is United Continental Holdings Inc., "will continue to work with the FAA, which recognizes this decision may cause further inconvenience to customers flying to and from Newark, along with the Port Authority and others, to minimize delays and provide them the reliability they expect when they fly." Virgin America has long protested United's dominance over Newark, saying it wanted to add more flights into the airport and lower fares. The airline, based right outside San Francisco's airport, has several daily transcontinental flights but wants more to compete with United, American Airlines, Delta Air Lines and JetBlue. The routes are some of the most profitable in the country. The flight changes will take effect at the end of October. While more access to the Newark airport could lower prices for fliers it has the possibility to also bring about more travel headaches. New York has the most congested airspace in the nation, and Newark routinely ranks at the bottom of U.S. airports in on-time performance.